No matter how big or small your makeup stash may be every gal needs a good set of brushes. Do you need to start out with 20 of them? Not really. Just the essentials are a good start! 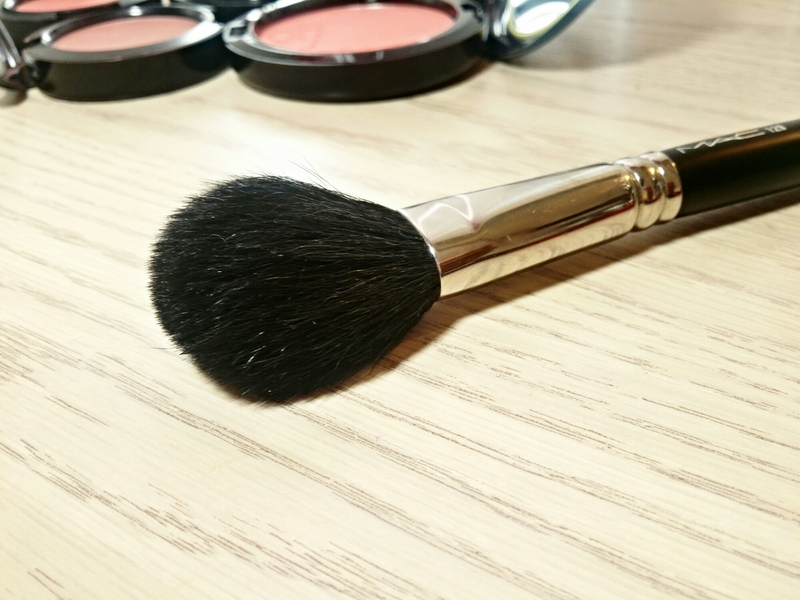 One of the most important brushes to have in your arsenal is a good quality powder brush. 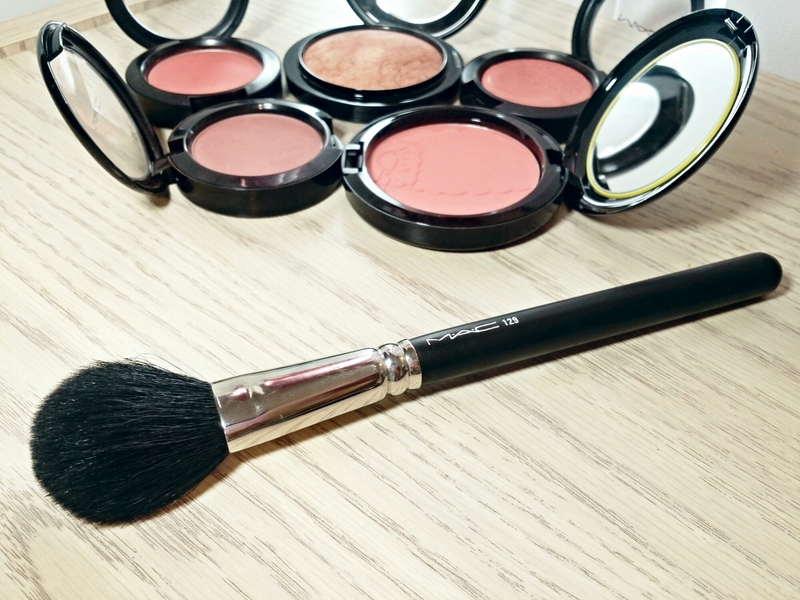 Having a good powder brush on hand is essential because it can come in handy for so many things. Like applying powder, blush, highlight, contour or cleaning up eyeshadow fall out. That’s why I really appreciate having the MAC 129 Powder/Blush Brush in my stash. It’s useful for so many different things. From setting my concealer with Banana Powder to highlighting with my Sonia Kashuk bronzer it gets the job done! 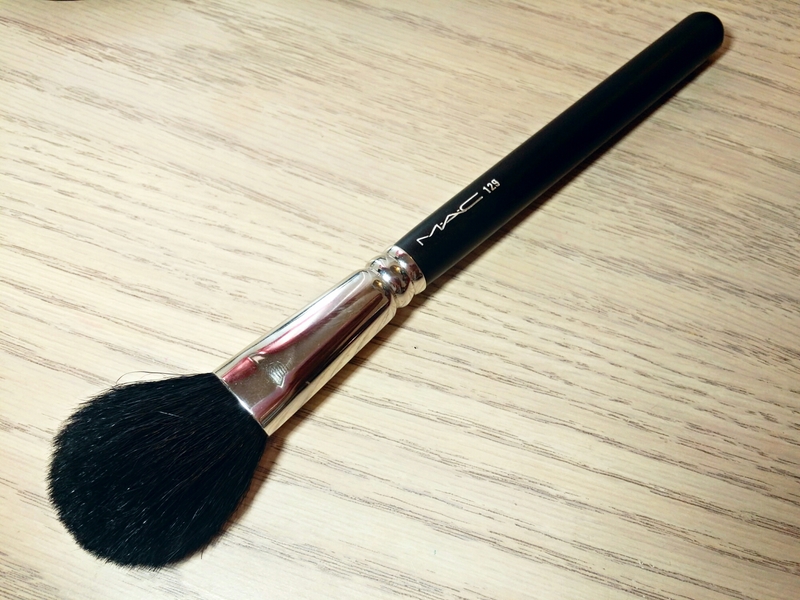 The MAC 129 Brush is made of natural hairs and has a small yet wide brush head that’s narrow at the base and gets wider at the tip. It’s very dense and fluffy so it easily picks up pigments and blends them well. 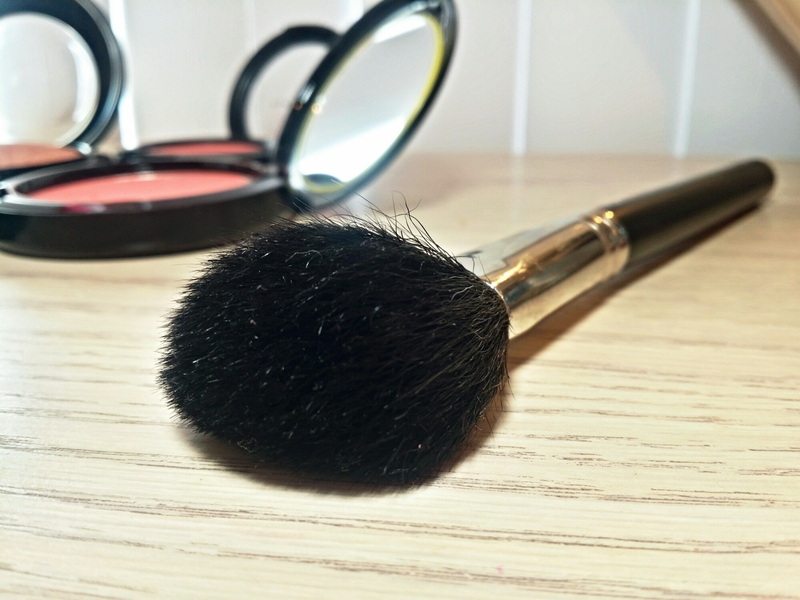 Some natural hair brushes have a tendency to feel scratchy but the MAC 129 Brush feels very soft on the skin and holds up well over time. I’ve been using this beauty for over a year and I find it to be very well constructed. The brush rarely sheds even after countless deep cleansings and it always keeps its shape. I also haven’t experienced any issues with the ferrule falling apart (like my ELF Studio Powder Brush) so I’d say it’s certainly worth the $35! I definitely recommend checking it out the next time you hit the MAC counter.